With this in mind, I’m turning over the blog to C. T. Phipps, author of Lucifer’s Star, who has been nice enough to submit a guest post for everyone’s reading enjoyment. A friend of mine recently read my latest work, Lucifer’s Star, and complimented me on my world-building as well as characterization. He talked to me about how much he loved the setting and was fascinated by a lot of the in-fighting between factions plus the main character’s angst over how he’d done terrible things in the galactic war before realizing none of it was justified. Then he told he didn’t want to read any more of the series. This, understandably, surprised me so I asked him why. His response? “Well, I just don’t get why you’ve jumped on the grimdark bandwagon. Let some light into your stories.” That amused me more than I expected since I wrote it, very deliberately, to be a grimdark space opera novel. Something my friend, until he read my book, would have said was an oxymoron since he associated space opera with light breezy Flash Gordon tales (and apparently forgot Dune existed). But why write in grimdark? What is it about the genre which has attracted so many indie writers like Tim Marquitz, Seth Skorkowsky, Kenny Soward, Rob J. Hayes, M.L. Spencer, Anna Smith, and myself? I think it’s a combination of factors. However, one of the most important ones is the fact grimdark is an excellent opportunity to distinguish yourself in a field which has traditionally been oversaturated with softer fantasy and sci-fi tales. Fantasy has, due to the nature of the market, historically been confined to exist within certain parameters that have limited it. What made George R.R. Martin’s work so excellent was that it broke down barriers which had long since been considered inviolate. Good triumphing over evil, nobility being inherently better than commoners, and the antagonists being inherently worse than the protagonists. By removing those restrictions, more variety in stories can be told without having to fall into pre-existing patterns. Distinguishing your writing by being willing to “color outside the lines” of genre is something that is especially needed because the nature of the market has changed dramatically in the past decade. 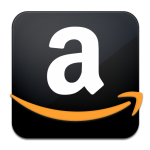 The existence of Amazon.com, print on demand, ebooks, and online marketing in general means that books no longer have the same limited shelf-life they used to. No longer do we need to worry about only the most famous books like The Lord of the Rings or Dune remaining in print forever. Indeed, the benefit of systems like Kindle and Audible mean that older books have a new lease on life. Brian Lumley’s Titus Crow series was published in the Eighties but recently received a re-release in audiobook form by Crossroad Press. As long as it remains up for sale, which will be as long as the internet exists, new fans will be able to enjoy the benefits of the system. What does this have to do with grimdark? It means that now is a great time to be an independent author since there’s more chance for exposure and making a living as a writer than ever. Unfortunately, it also means that there’s more competition than ever for the online market. You need to distinguish yourself and bring something new to the table. Very often, that means taking existing genres and subjecting them under a microscope to see the problems inherent in the genre’s assumptions. Grimdark having been born out of a deconstruction of traditional fantasy tropes. I focused on the fact space opera often made the conflicts struggles to the end between evil empires and plucky rebels without ever stopping to think about the dark side (no pun intended) of both. Real life wars usually end in peace treaties rather than the complete destruction of the enemy so I wanted to write from the perspective of what the soldiers on the “wrong side of history” thought. I also wanted to take some of the polish off the guys who merrily slaughtered their way through the enemies to see how their black and white worldview had flaws. Also, isn’t ownership of androids slavery? In the end, I was as much Aliens and Blade Runner as Star Wars. I just kept the laser swords and thrilling starfighter battles. Grimdark, for me, was a chance to be part of a developing genre. There’s plenty of dark and gritty books out there as well as dark and gritty fantasy. However, grimdark is a relatively recent phenomenon which is building on the works of the past to create a genre where the darkness and ambiguity is the point. The rules of grimdark are still in flux because it’s something that’s still being nailed down. People draw from inspirations ranging from other grimdark authors to other genres like horror or historical fiction. Eventually, things will become a bit more concrete on what is grimdark or not but the ambiguity is part of the appeal now. Grimdark authors can get in at the ground floor of a new movement in fiction which is getting ever more popular. AUTHOR INFO: C.T Phipps is a lifelong student of horror, science fiction, and fantasy. An avid tabletop gamer, he discovered this passion led him to write and turned him into a lifelong geek. He’s written Agent G, Cthulhu Armageddon, Lucifer’s Star, and The Supervillainy Saga. 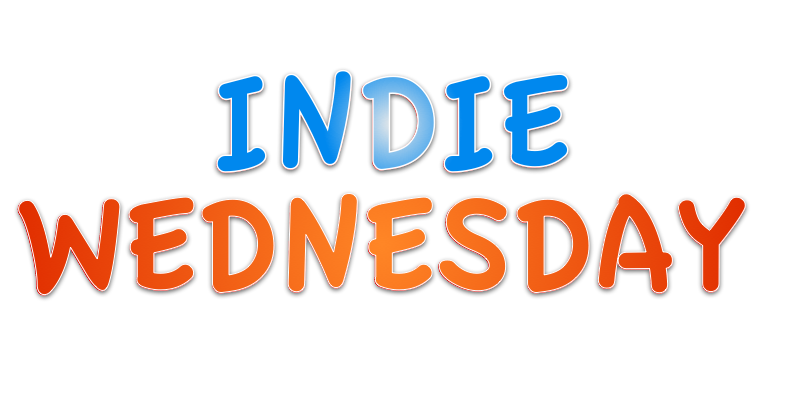 This entry was posted in Author Spotlights, Guest Post, Indie Wednesday and tagged best indie sci fi, best self-published sci fi, C.T. Phipps, C.T. Phipps guest post, Grimdark and Sci Fi/Fantasy, indie sci-fi, indie space opera, indie wednesday, Lucifer's Star, self published sci-fi, self-published space opera, Space Opera. Bookmark the permalink.